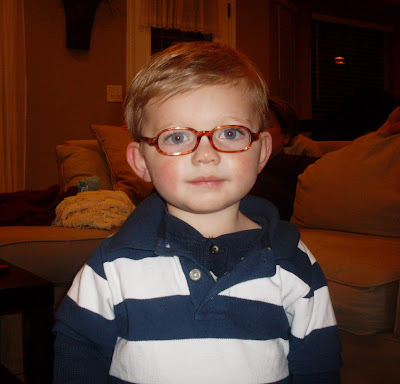 No, Bryson doesn't wear glasses, but should because he looks so darn cute in them. The other day, Bryson's cousin Zyan put these glasses on him (they are from her Build-A-Bear) and they fit him perfectly. I couldn't get over how cute and grown-up he looked in them.